Skoda has unveiled the Scala hatchback at an event in Tel Aviv. The car is scheduled to go on sale in the first half of 2019. The Scala measures 4,362 mm long, 1,793 mm wide and 1,471 mm tall and has a 2,649 mm wheelbase. It has a 467-litre boot space which increases to 1,410 litres with the rear seats folded. 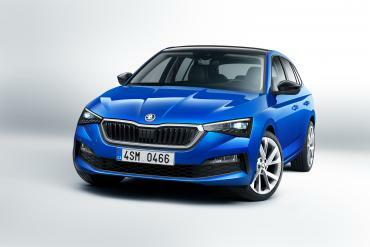 The car takes design cues from Skoda’s Vision RS. It gets a chrome-bordered grille with vertical slats flanked by triangular shaped LED headlights which come with a DRL at the top. The DRL aligns with the upper portion of the grille. 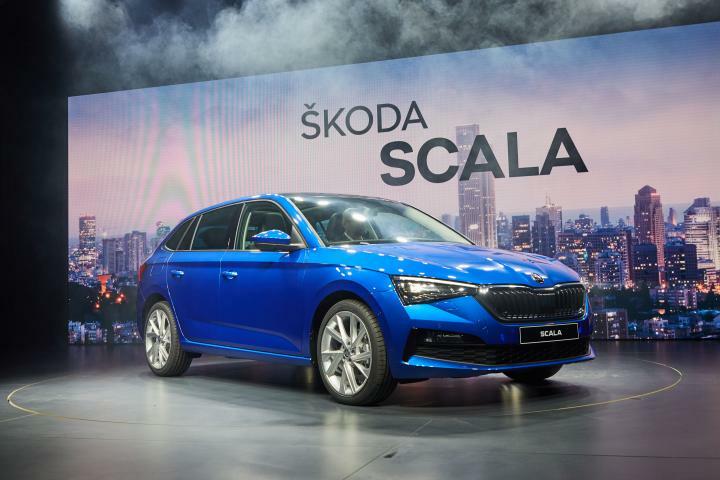 The Scala also gets a full-width air dam with fog lamps mounted on either side. The side gets creases including a shoulder line that runs from the front till the tail lights. The rear gets a dual tone bumper with integrated reflectors. The wrap around tail lamps get a blacked-out portion between them with the SKODA lettering instead of the usual company logo. The Scala also comes with a black roof and roof spoiler. On the inside, it gets a dual tone dashboard with a soft-foam surface. It gets an optional 10.25-inch driver display (virtual cockpit) and a 9.2-inch infotainment screen. It is also equipped with an eSIM for internet connectivity as well as Emergency Call services. Other features include a retractable tow bar below the rear bumper, umbrella in the driver’s door and an ice scraper in the fuel filler cap. 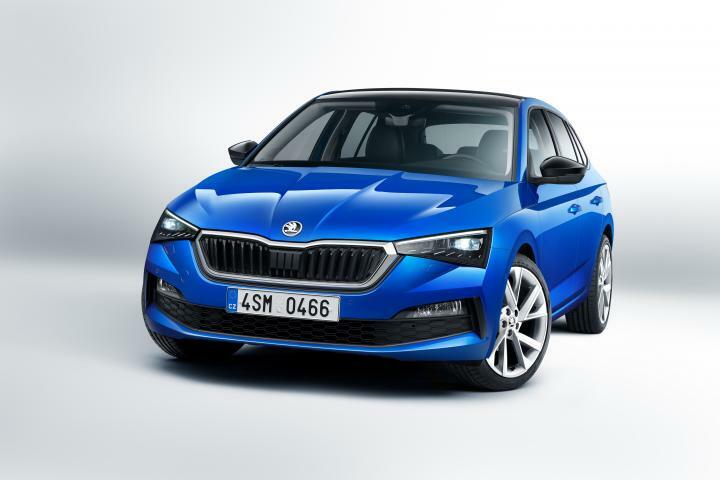 The Skoda Scala will be offered with a range of petrol and diesel engines including a 94-114 BHP 1.0-TSi, a 148 BHP 1.5-TSi and a 114 BHP / 250 Nm 1.6 TDi. A 1.0 G-Tec CNG engine rated at 89 BHP will be offered at a later date. Transmission options include 5-speed and 6-speed manual gearboxes along with a 7-speed DSG box. The CNG variant will be offered only with a 6-speed manual gearbox. 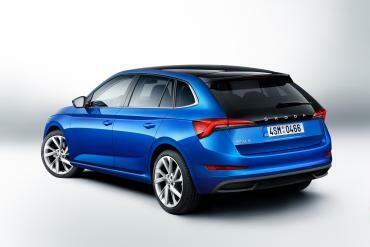 The car will also be offered with a Sport Chassis Control that lowers the car by 15mm in the Sport Mode. Safety features include blind spot detection, rear traffic alert, adaptive cruise control, park assist and front assist including autonomous emergency braking. The Scala is equipped with seat belt pretensioners and up to 9 airbags.